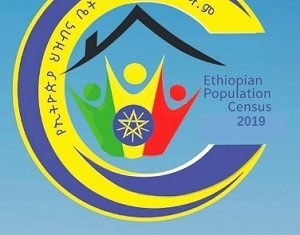 March 18, 2019 (Ezega.com) -- The Fourth National Housing and Population Census of Ethiopia has once again been postponed due to security issues, among other things, according to the reporter. The census was scheduled to start the first week of April 2019. Following a heated debate between members of Census Commission, the commission decided to postpone the planned national population census until the concerns are addressed. The commission was being chaired by Deputy Prime Minister Demeke Mekonnen when talks broke down. The Commission had an urgent meeting on Saturday, March 16, 2019, to decide the fate of the upcoming national census. The meeting was called to discuss issues of security and delivery time for census materials. It was argued by some that there was no enough time to prepare for the census and conduct fair and accurate statistics. Inparticular, Southern Regional State reported that, given what is going on in the region, particularly related to security, it is difficult to conduct the upcoming census in their region. Subsequently, the Ethiopian government ordered the Agency to halt the distribution of census materials to the regions. At the moment, Tigray is the only region which fully received the census materials sent from the agency, according to the report. The Agency has called off all training materials from distribution to regions until new timetable is set. It is to be recalled that, according to the original schedule, the census was scheduled to take place in November, 2017. The census commission has not yet announced a new schedule, according to officials contacted by the Reporter.